Women's Environmental Network - The Big Stink! 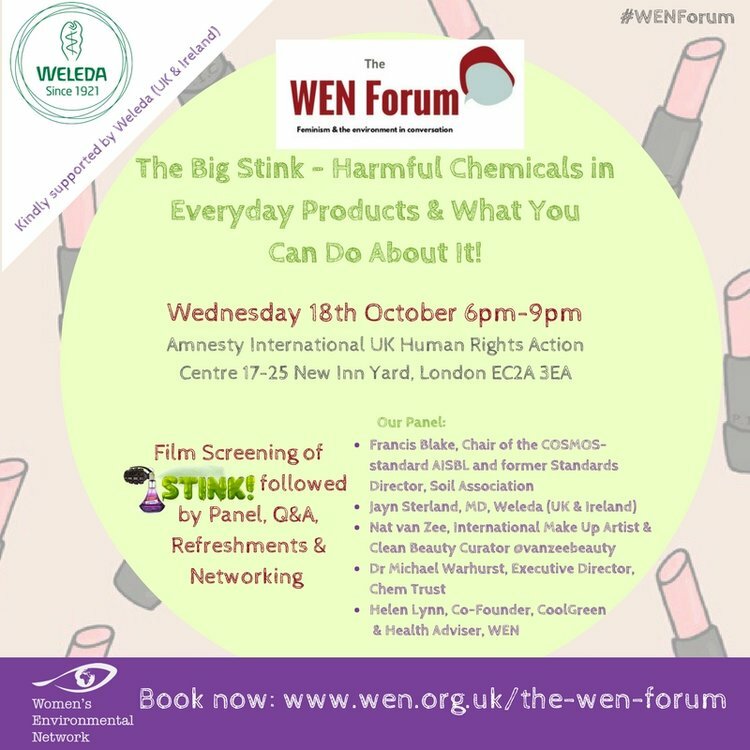 We are excited to announce that Weleda is supporting the next WUM Forum - The Big Stink! What do the terms natural and organic really mean? Why are these chemicals used in the first place? How can we protect ourselves from harmful chemicals? What is the environmental impact of these chemicals? What does Brexit mean to this debate?